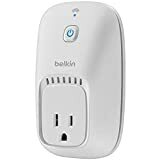 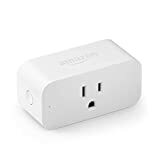 When you plug in lamps, appliances, electronics or even just a curling iron into one of these cool new Belkin WeMo Switches, you'll be able to wirelessly turn them on or off, at home or away, using an iPhone, iPad, or iPod Touch. 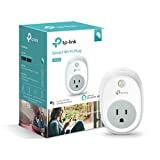 These innovative app-controlled switches work with your home's existing Wi-Fi network and mobile Internet to transform your iOS device into a remote control for numerous household devices. 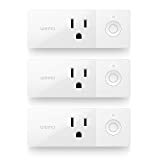 Not only can you turn each device on or off from just about anywhere, you can also create different schedules for each one too. 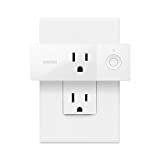 They're modular as well, so you can add as many switches throughout your home as you would like and enjoy controlling them all from a single free app.